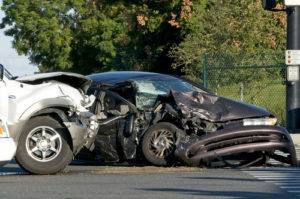 Although the sad experience of being in an auto accident cannot be wiped off totally, especially if there’s a loss of limb or a loved one in that accident. However, Rawa Law Group strives to help you find closure by asking for what you deserve, a decent compensation for having to undergo such a dilemma. We are positioned as a superior 5-star law firm in the heart of California and we put all our might in your case to help you get your desired result. We are truly dedicated to your service which is why we have flexible hours for appointments and are available to make a home or hospital visits if your condition or schedule restricts you from coming over to our office to discuss your legal pathway. Rawa Law Group has some of the finest personal injury lawyers in California and we are happy to lend you our services to see you move past these dark times with a smile on your face. Our over 50 years of combined experience and over 10 years of successfully handling such cases have shown us what works and what doesn’t and we are happy to utilize them to ensure we come out victorious for you. We have helped clients pull in hundreds of millions in settlements and we are ready to do same for you. All you need to do is get in touch with us by opting for our free consultation, and we would have a top-notch auto accident attorney assigned your case to ensure you have a personalized legal representation.